Australian solitude at its best. 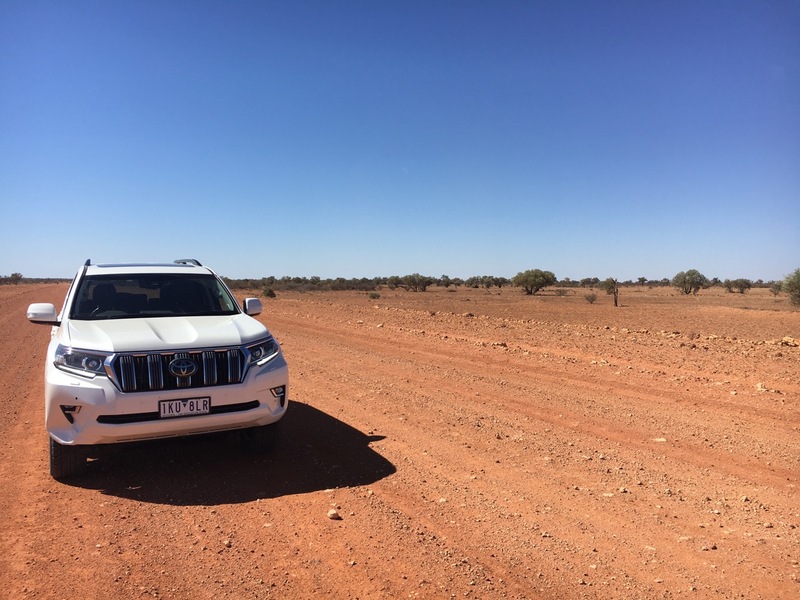 This is Part 2 of our exploration of the Australian Red Centre with a Toyota Prado which we baptised Omar. 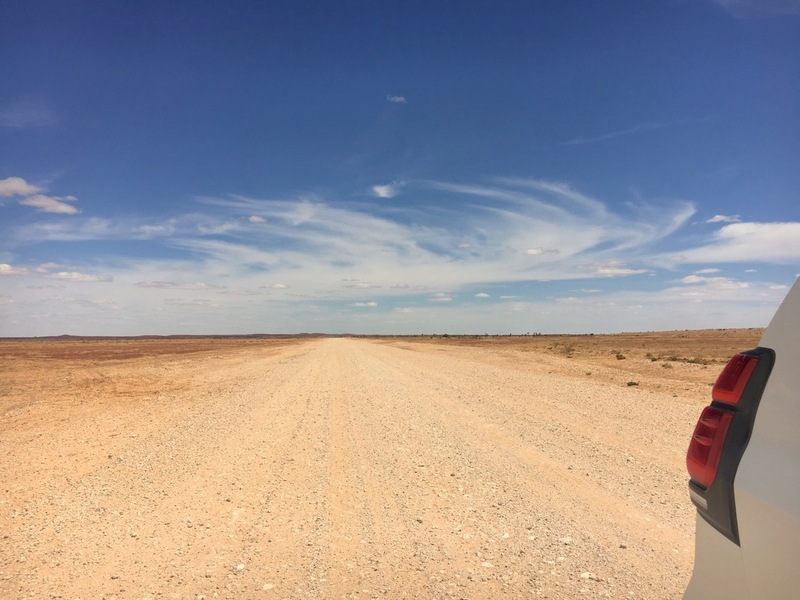 You can see Part 1 taking us from Sydney to Birdsville here. 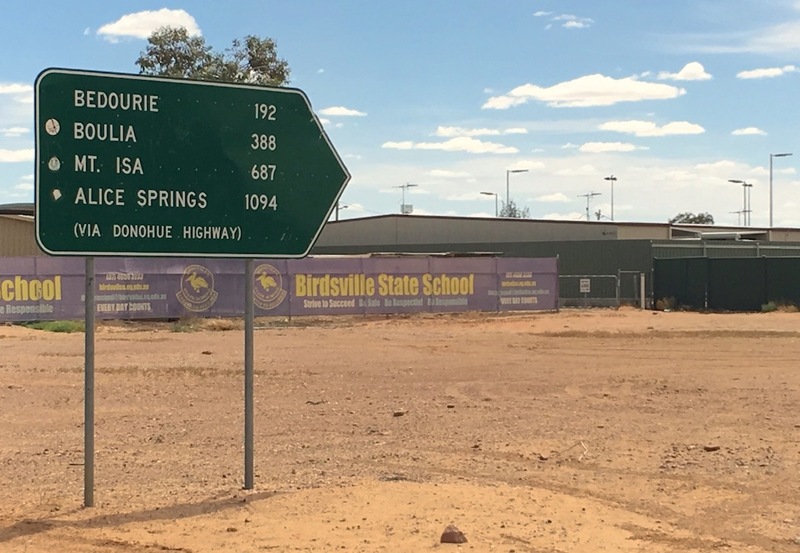 After a half-day of rest in Birdsville we set our sights on Boulia for Day 3 of this adventure and Alice Springs on Day 4 via the (very) lonesome Plenty Highway, which is actually a highway only by name. 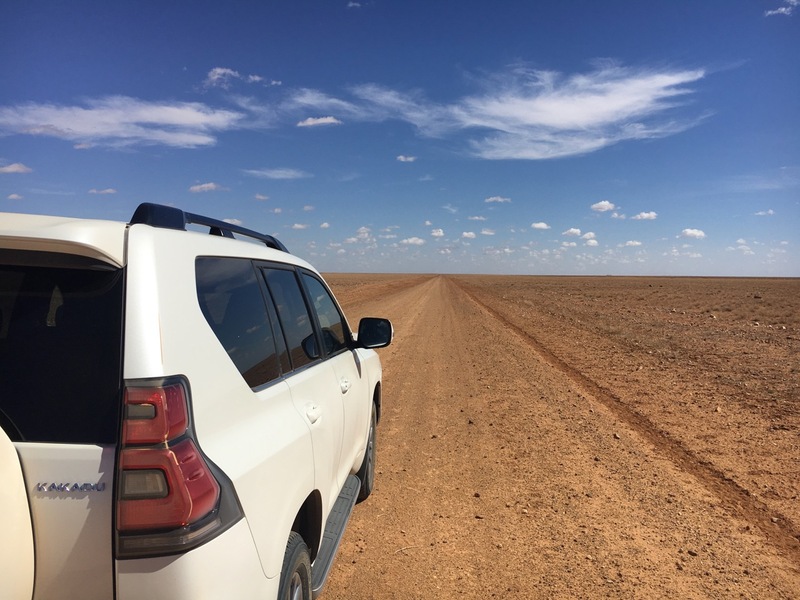 We have now entered some of the most isolated parts of Australia, and as this exploration happened in late February this year it is also the hottest time of the year. A perfect torture test for Omar our Prado. 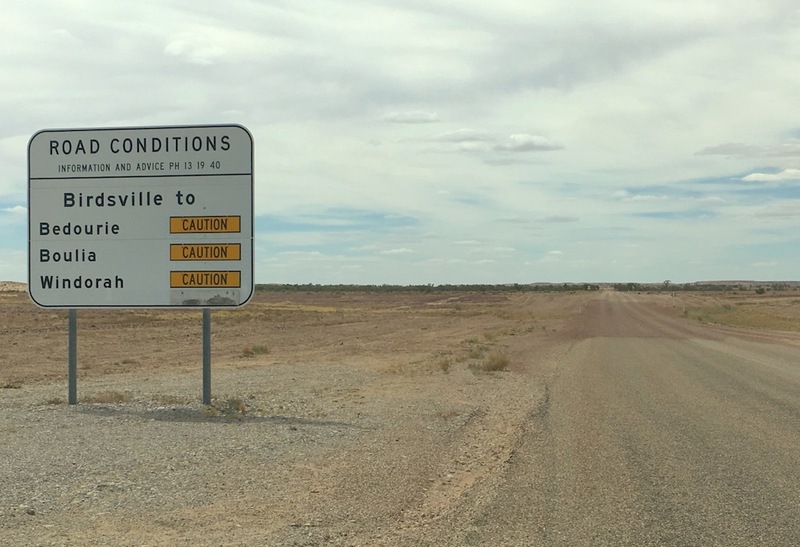 Our itinerary for leg 2 of this trip / roadsigns leaving Birdsville. When I say isolated, I actually mean it and having grown up in Europe it is sometimes hard to wrap your head around the fact that the towns indicated on the road sign above are actually the only towns around. On my way to Bedourie traversing an eerily white rocky landscape (see below), I crossed only three vehicles in 192 km. 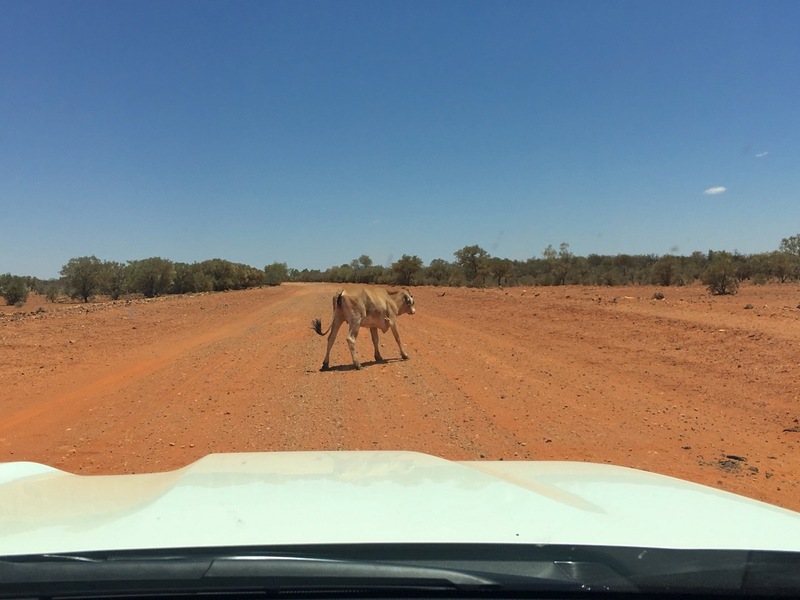 Then during the 196 km that separate Bedourie to Boulia I only crossed… one vehicle. 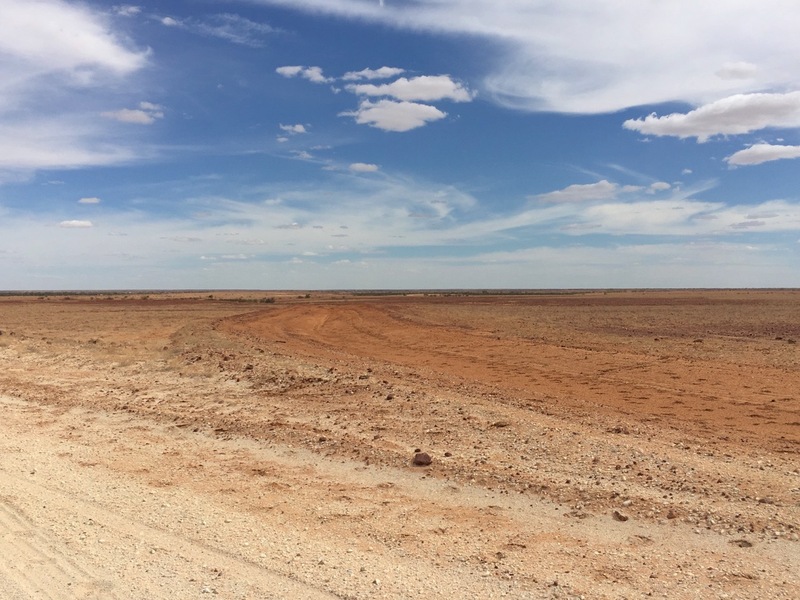 The desert between Birdsville and Bedourie. Traversing Bedourie (population 122) after such a stretch of empty and lonesome landscape is a little eerie. 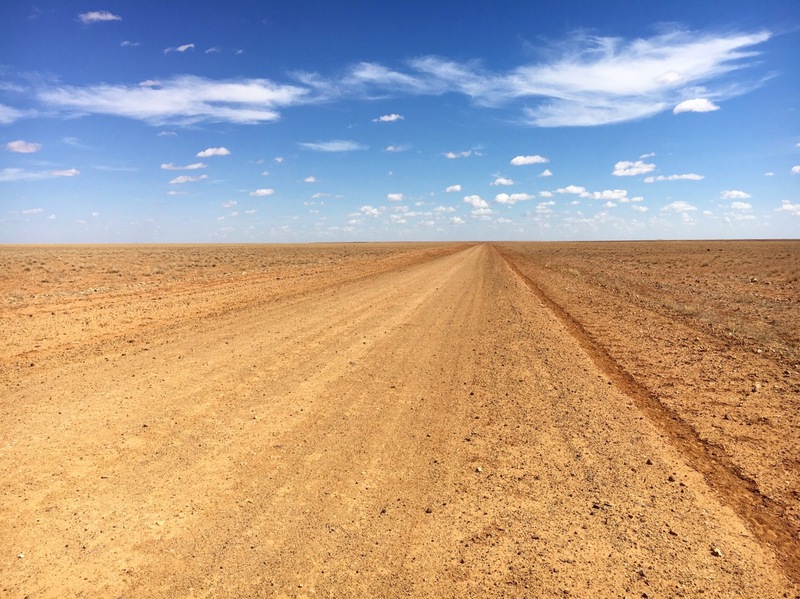 The road I have taken from Birdsville is almost entirely unsealed and even after months of dry weather there were ruts so deep I was very happy to be at the wheel of a high ground clearance 4WD, while traditional vehicles would have had a very difficult time. However Bedourie is linked with Windorah (see Part 1) by a mostly sealed road, and as such I spotted a Suzuki Celerio in Bedourie which I had to do a double take on as it seemed completely out of place. 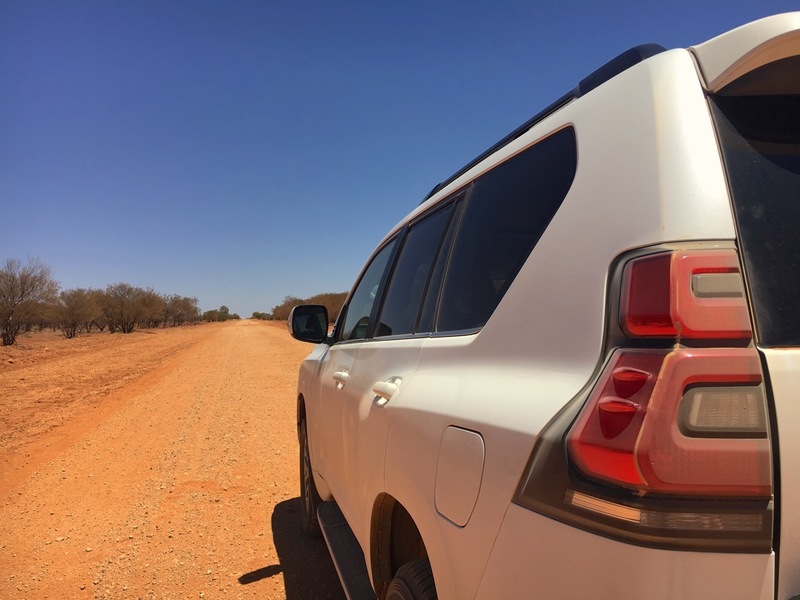 Or perhaps it is only used in Bedourie… The preference in town once again goes to the Toyota Land Cruiser 70, Hilux, but also our very own Prado. 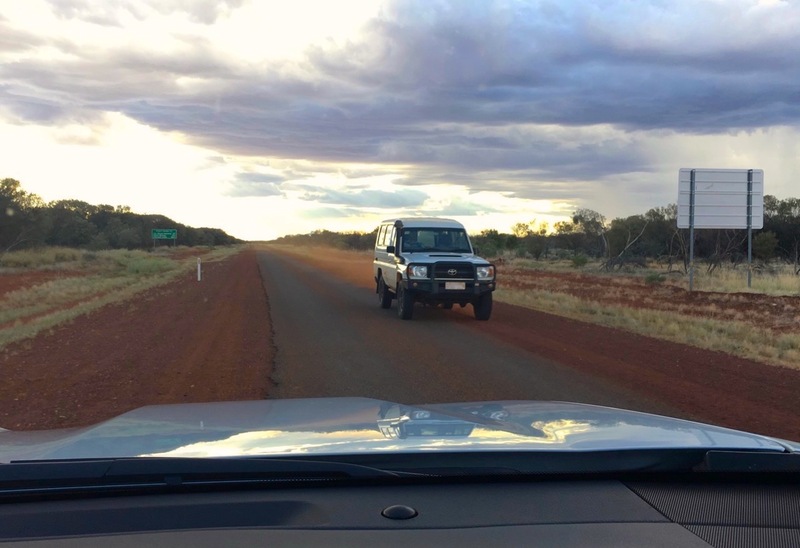 We arrive at Boulia just before sunset as swarms of kangaroos start hopping along the road, greeted by the now traditional Land Cruiser 70 police car in town. Diesel at the local petrol station is a very honest AUD 154.9 cents per litre. 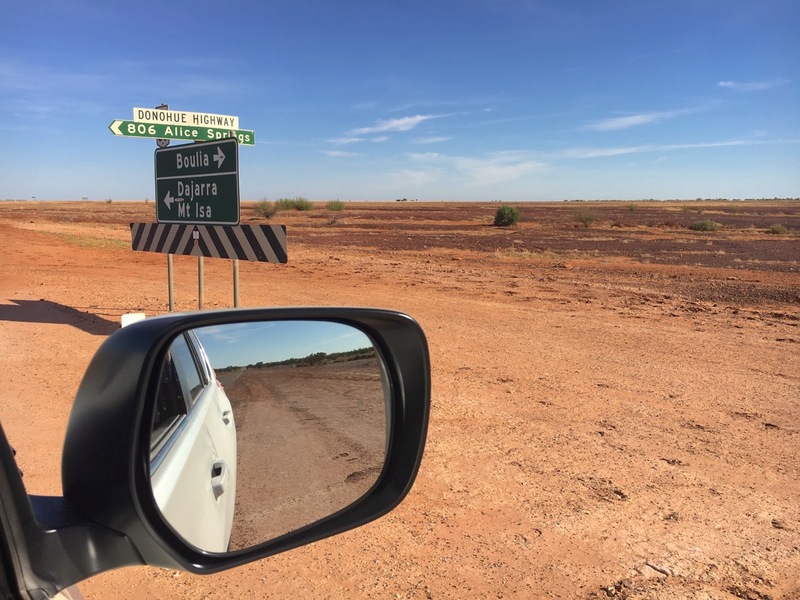 Boulia (population 301) is at the heart of Channel Country where during rain events, channels running between rivers and creeks spectacularly fill with water, making it some of the finest beef producing regions in Australia. Thankfully there was no chance of any flood in the middle of summer when we visited. The area is famous for sightings of the Min Min lights, mysterious shimmering lights appearing at night and caused by atmospheric refractions that occurs when cold air is trapped below warmer air. No luck for me this time: I didn’t get to see them. However I spent probably the best night of the entire trip at the Desert Sands Motel: Genevieve Hammond has my room pre air-conditioned, cooked a hearty breakfast in the morning and had very useful maps and advice for the road ahead the following day. 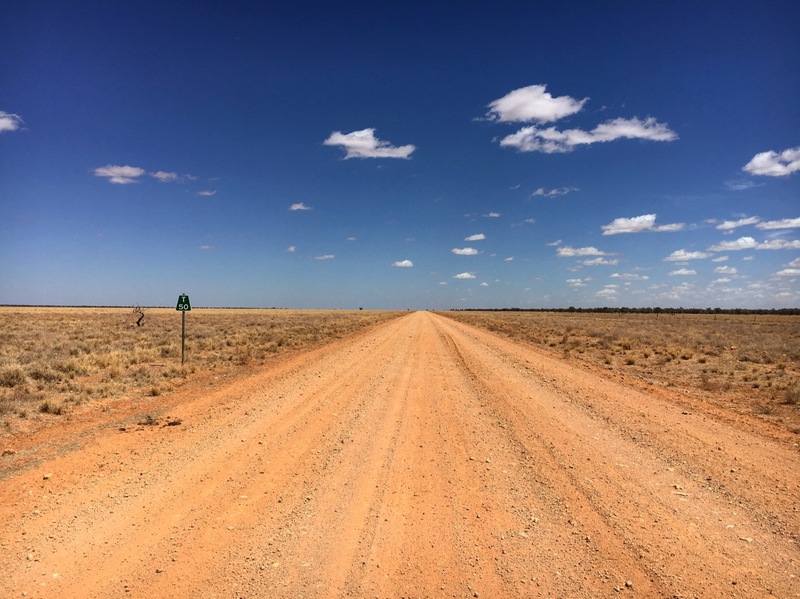 Leaving Boulia onto the Donohue Highway. And it’s a perilous road indeed. 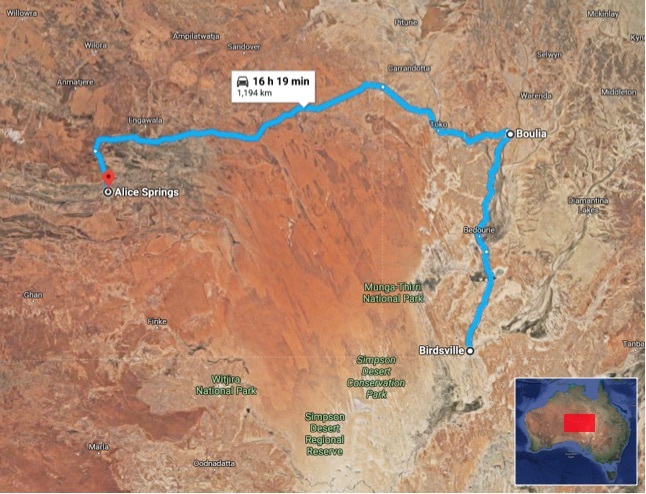 It is 811km (504mi) from Boulia to Alice Springs, but going deeper into the Red Centre means I will not cross a single town for a hair-rising 601km (373mi)! 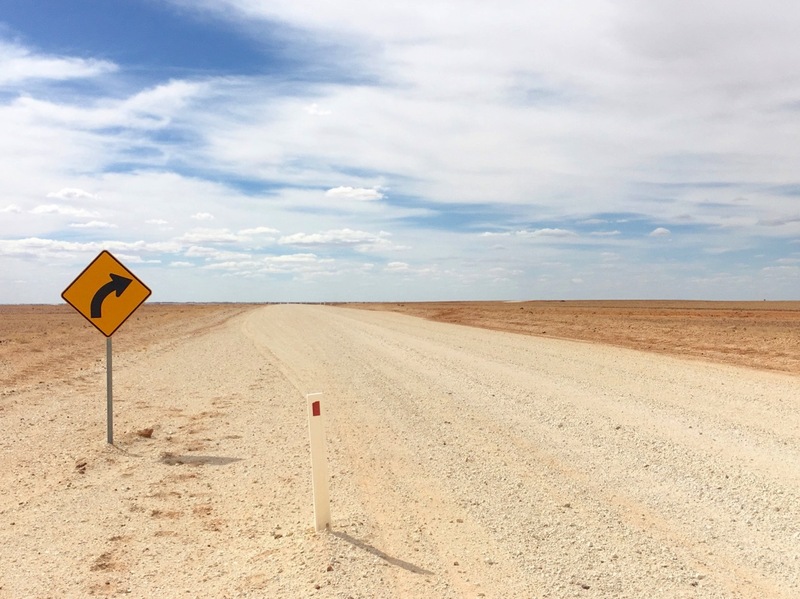 This stretch of track crosses the country north of the legendary Simpson Desert and the only human presence in 600km are two cattle stations, Tobermorey and Jervois, that reportedly have petrol and snacks. 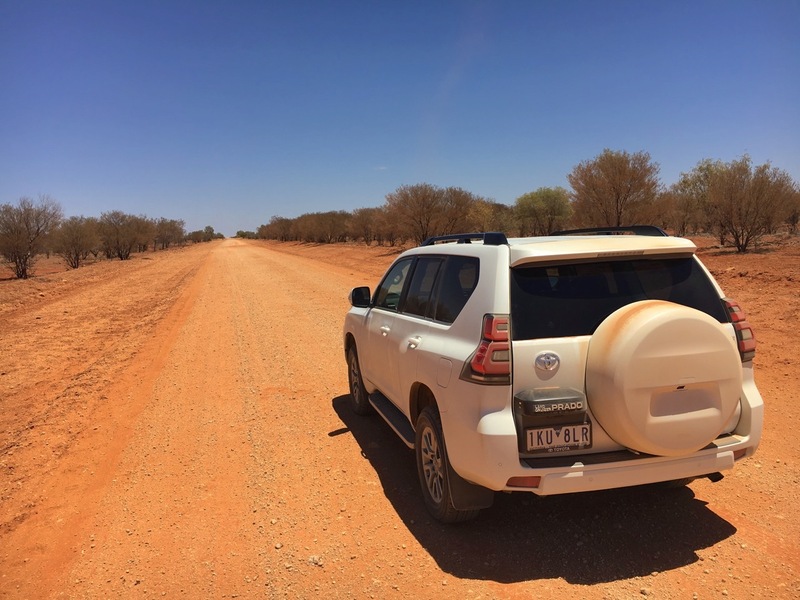 This is one of the exciting parts of this Toyota Prado test drive as I have never explored this region before. 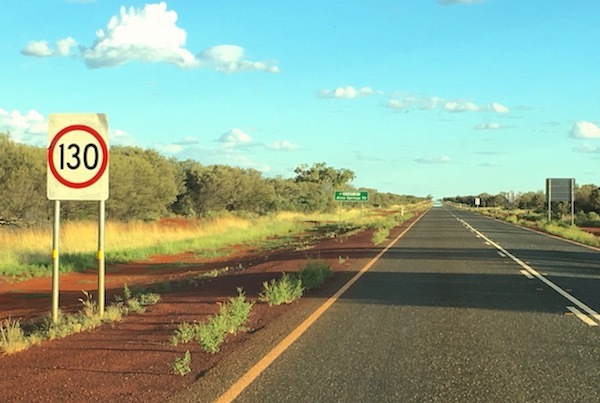 There is no mobile coverage at all for the more the 800km that separate Boulia and Alice Springs… The track is called the Donohue Highway all the way to the border between Queensland and the Northern Territory. We now are submerged with what I have been looking forward to: emptiness. 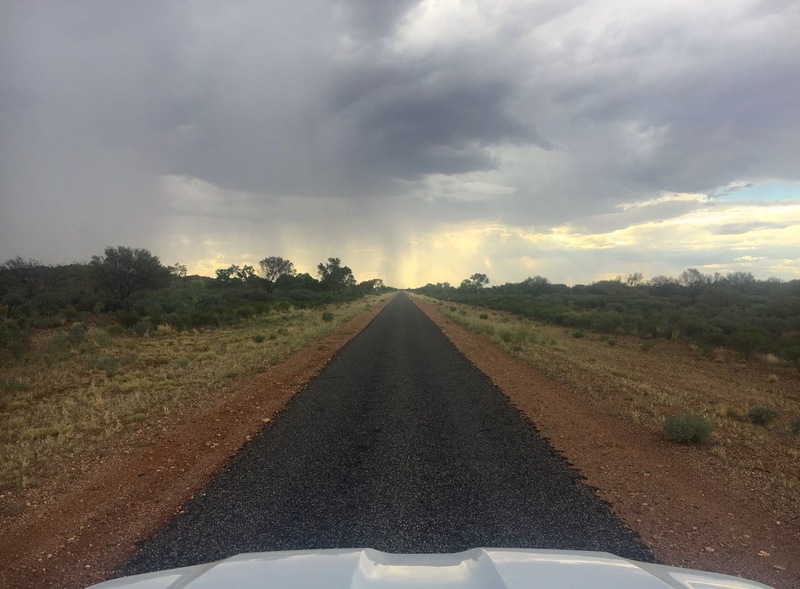 If you are a long-term BSCB reader you will know by now that I am a big fan of the Australian Outback, so much so that I need my “fix” every few months or so. It’s a great way to reset, think and enjoy the surroundings. As it was the case between Oodnadatta and Coober Pedy during our last adventure in a Toyota C-HR, the terrain is also constantly changing, getting redder as we leave Boulia but yellower as we approach the Northern Territory border and it would return to ochre red further along as you’ll see below. The vegetation also changes but never grows bigger than scrubs. And everywhere, silence is deafening, omnipresent and uplifting. Omar and I are now in Northern Territory. 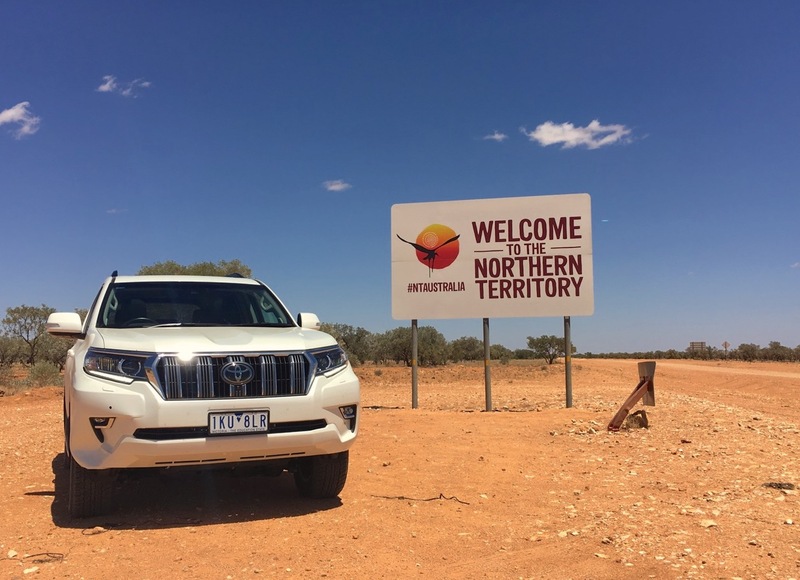 Looking at the best-selling models in the Northern Territory is like finally looking at a more accurate description of the car landscape of Outback Australia Toyota holds a round 40% of the NT market vs. 18.5% nationally, and it shows in the models ranking. No surprises in the lead, the Hilux has been the favourite for the past 20 years here and reigns supreme again in 2018 but drops a surprising 12% on the same period a year ago, while the RAV4 soars 66% to overtake the Corolla (+14%) and snap the #2 spot. The Ford Ranger (+7%) is the only non-Toyota in the Top 5 while our very own Prado (+11%) remains at a nation-best 5th place. The Land Cruiser Wagon (+27%) and Pickup (+20%) both soar year-on-year to brilliantly break into the Top 10. A very strong push by Mitsubishi sees the Outlander (+18%) jump to #6 and the Pajero Sport (+236%) to #11 with the ASX (-22%) at #9 and the Triton (-9%) at #10. But as we’ll in Part 3 of this series this is mostly due to rental sales. 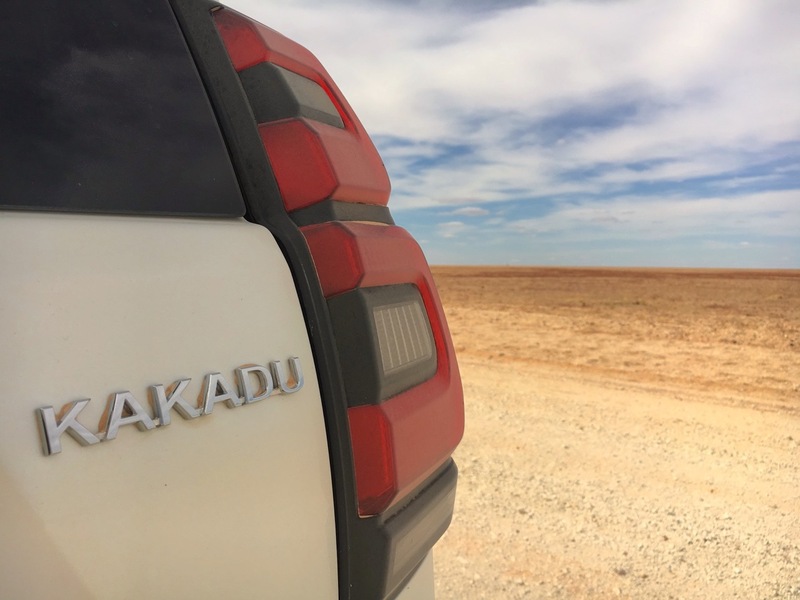 Not the RAV4, Land Cruiser Wagon, Land Cruiser Pickup and Pajero Sport all hit their highest ranking of any state or territory here. 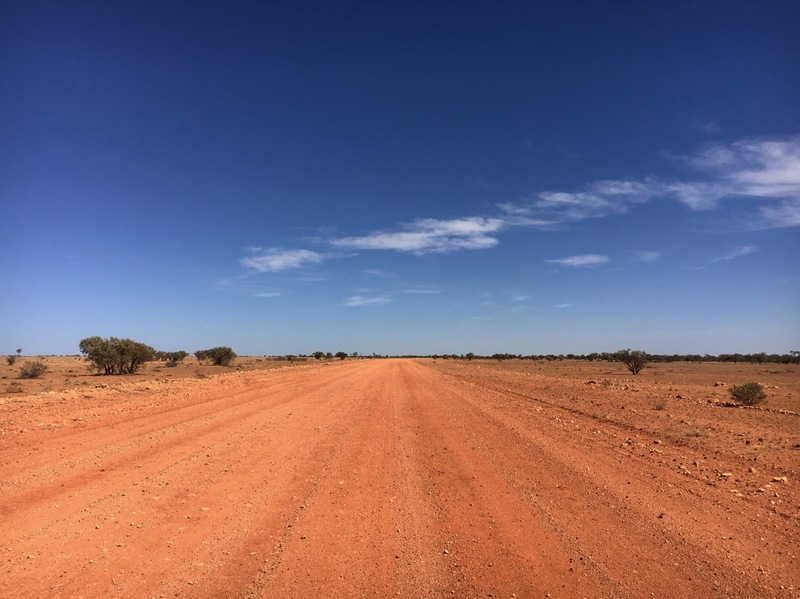 Now that we have crossed into Northern Territory, the Donohue Highway becomes the Plenty Highway and I am at a loss to explain why it is called this way, as the only thing there is plenty of here is dust, sand, skies and silence. I guess that’s a good enough reason. 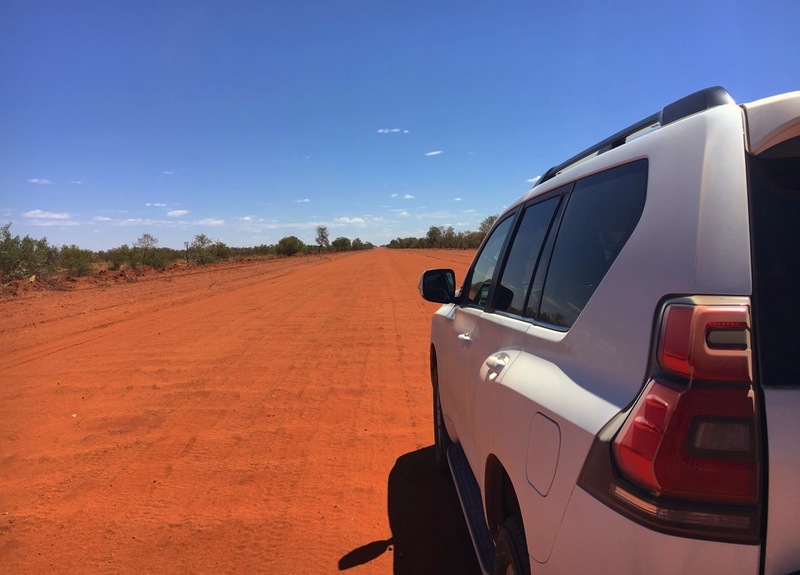 We are now at the beating heart of Australia’s Red Centre and the track is much better maintained on the NT side, allowing me to comfortably cruise control at 95 km/h / 60 mph. 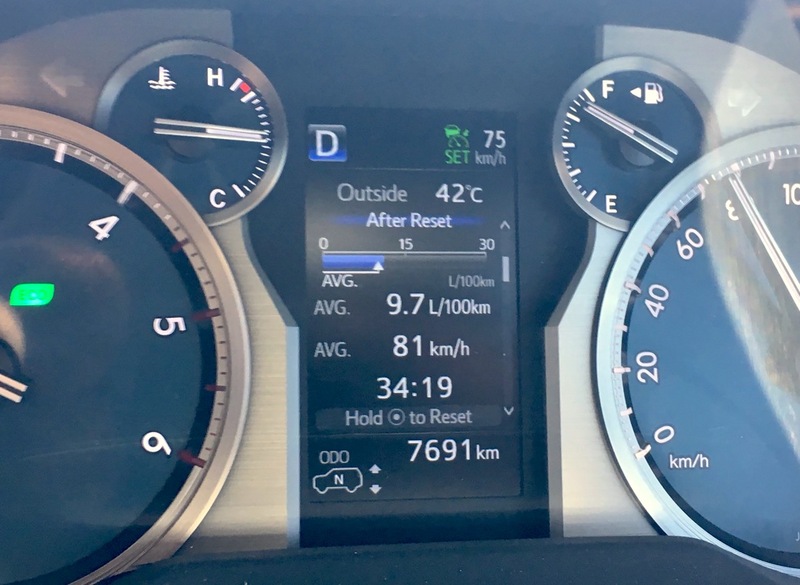 It is on this 217km stretch of track between the Tobermorey and Jervois homesteads that the air temperature would reach its highest in the entire trip: a blistering 42°C (108°F). 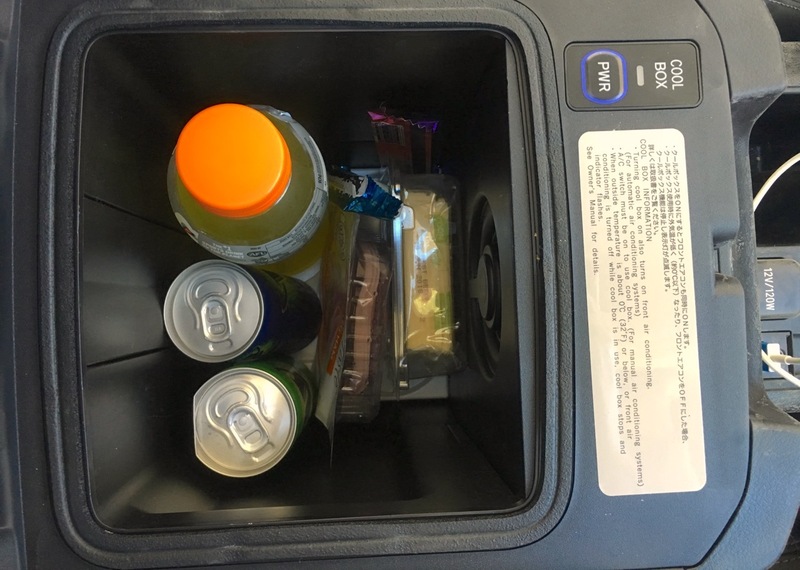 …luckily the Prado comes with a built-in fridge so my lunch was safe. Omar on the Plenty Highway in unbearable heat. That’s daunting in itself, but step outside and the strong wind is like a hair dryer burning your skin, throat and nasal canal to a crisp. The sensation is almost unbearable and I can hardly breathe after less than a minute outside snapping a few shots, so it’s actually a pretty scary experience. I don’t think I have ever had to endure such dangerous heat. The climate is so intense that at one point a lost cow was faltering in the middle of the road, groggy with exhaustion. I stopped to offer some water but must have spooked it as it shakily ran away. It’s on days like these that Omar’s built-in fridge becomes a need you didn’t know you had. In fact, not only that but the entire controlled environment of the Prado cockpit does really feel like a cocoon. The air con is having no difficulty combatting the exterior extremes and the noise insulation means you can hardly hear the engine, whereas it is quite loud when your standing outside next to the vehicle. 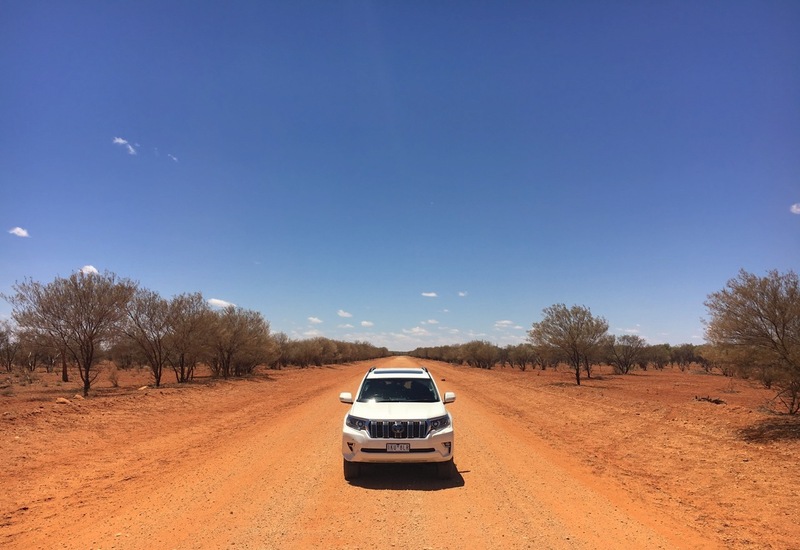 Omar really is an Outback travelling machine, the perfect companion to have under such harsh weather. 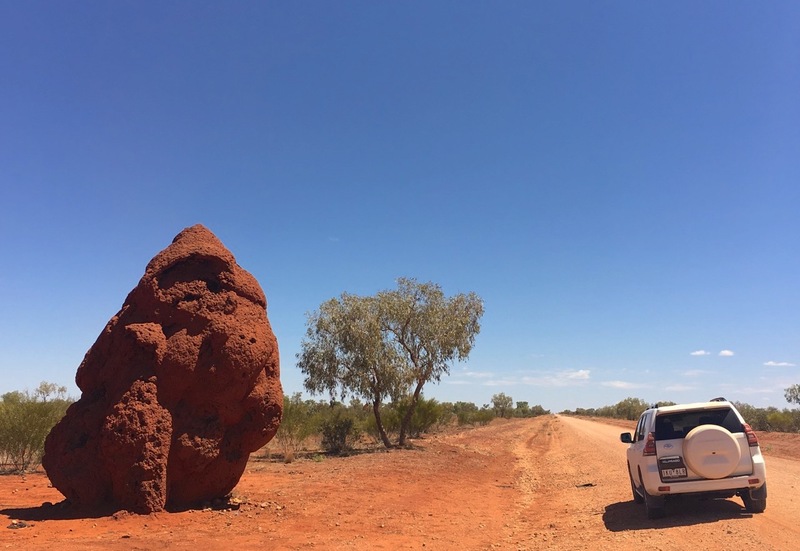 Jervois Homestead “Shop” and Petrol “Station” Giant termite mound and seriously red earth. Near Jervois Homestead. This part of Australia is peppered with a multitude of termite mounds, becoming more and more frequent as we travel north (which we won’t) as I remember some sublime landscape in the Kakadu National Park dear Darwin when I visited a decade ago, Kakadu also incidentally being the name of this version of Prado I am driving. 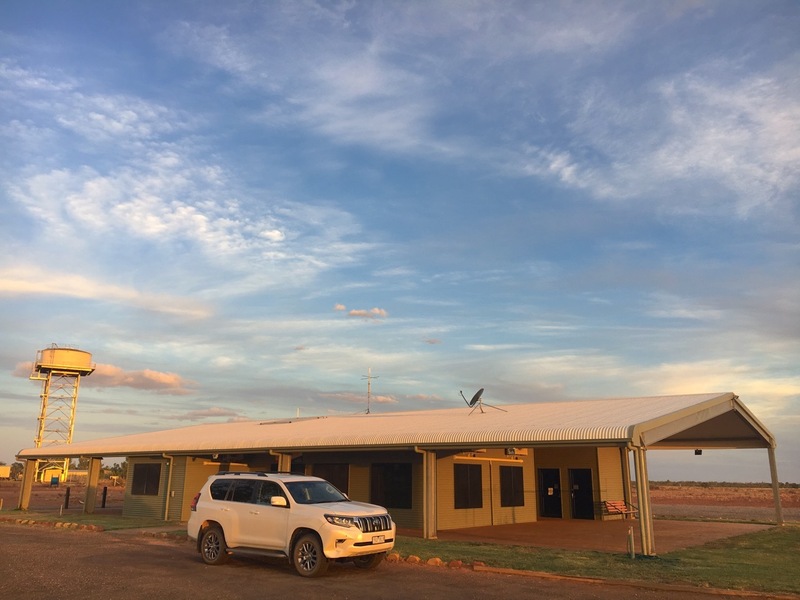 467km west of Boulia is the Jervois homestead and given it is located right on the Plenty Highway I stopped for a look around. 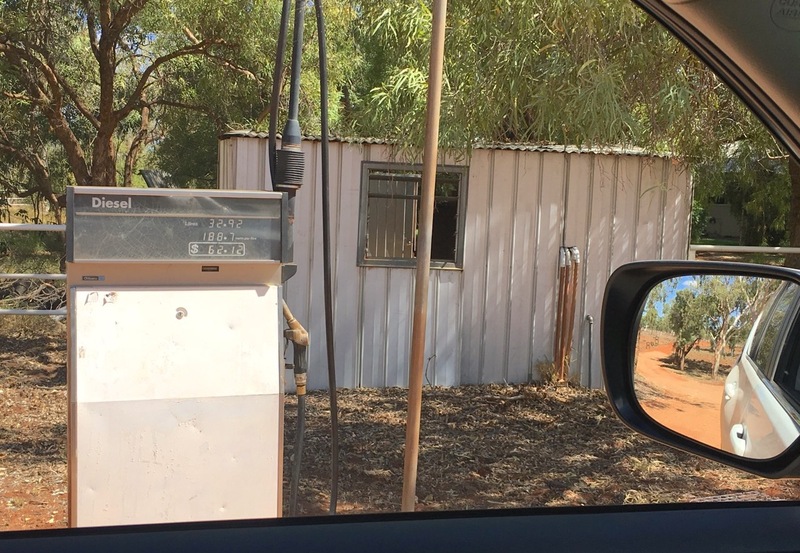 Diesel is priced at AUD 188.7 cents a litre, 34 cents above its Boulia price but for once I don’t blame the Jervois folks: it’s a wonder how any petrol has made its way here. We are really, really in the middle of nowhere. 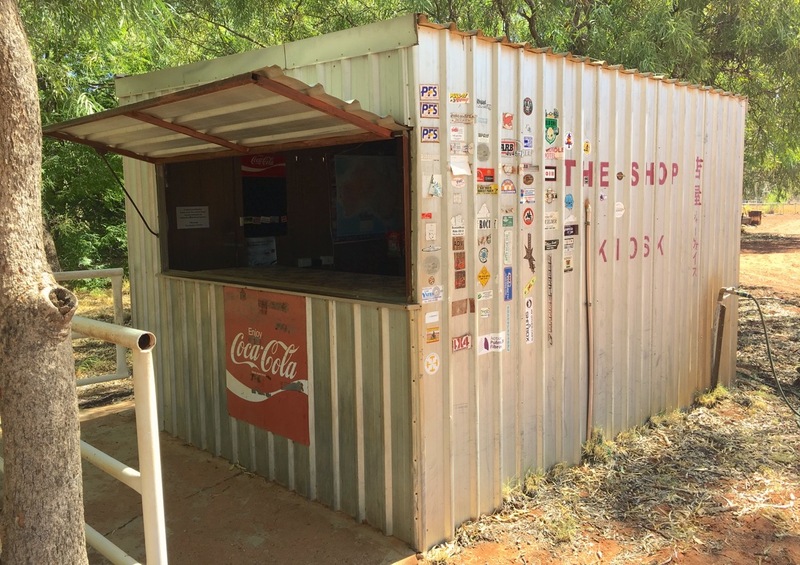 “The Shop” is a corrugated iron shed that could be appealing if I didn’t have my own on-board fridge. 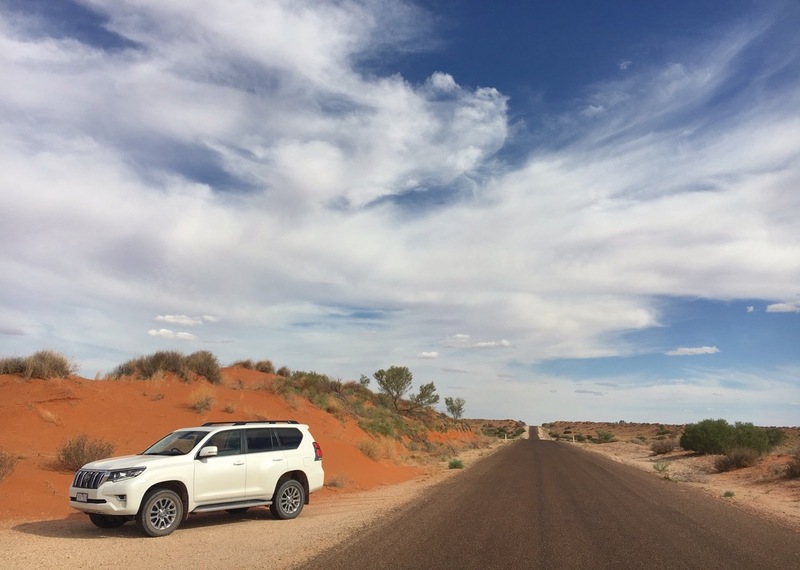 There’s a Land Cruiser 70 parked (of course) but the place is eerily quiet, in line with the rest of the, well, close to 500km since Boulia. Above: Rain! Below: 100% of the vehicles I spotted in 8 hours were Toyota Land Cruiser 70s. 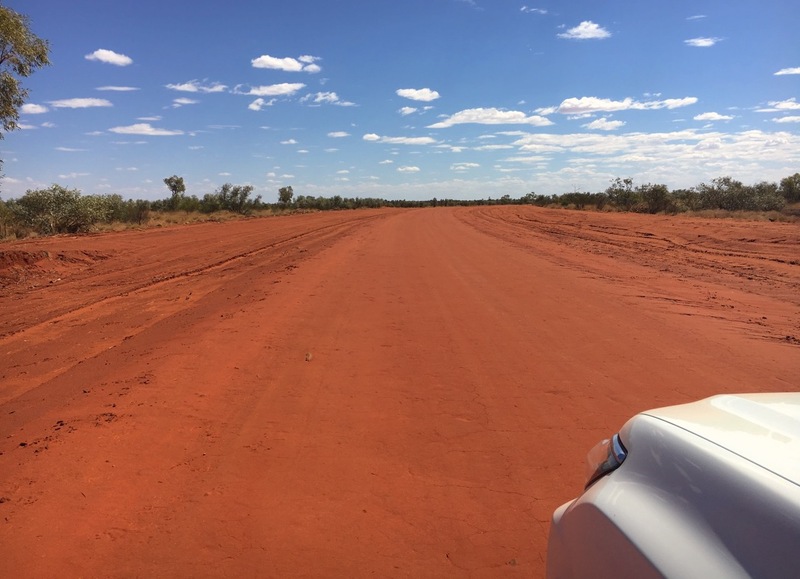 Over 600km north-west of Boulia, I reach the end of the unsealed section at the Atitijere Aboriginal Community. All-in-all, I have crossed only four vehicles in the eight hours it took me to complete this section: that’s one every two hours! Let that sink in for a bit. Another striking observation is that all these vehicles were Toyota Land Cruiser 70s. Talk about being king of the Outback! The Atitijere Community is like an oasis after a long, exhausting drought with a small supermarket and a petrol station. And as if it recognised the sudden flourish of vegetation, the temperature drops by 16°C to 26°C (79°F) in less than hour and rain (!!) 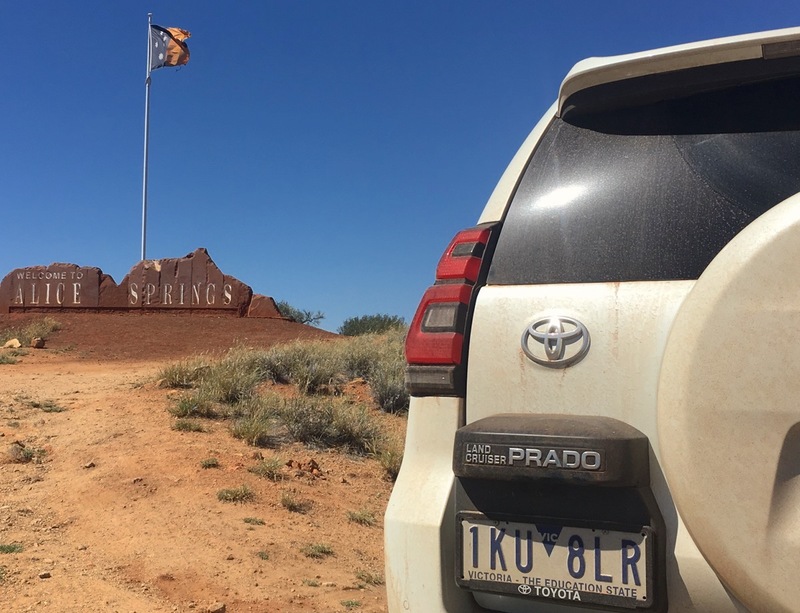 cleans up the sand on the Prado so I can arrive in Alice Springs, a further 200km, pretending I have never driven in the desert. 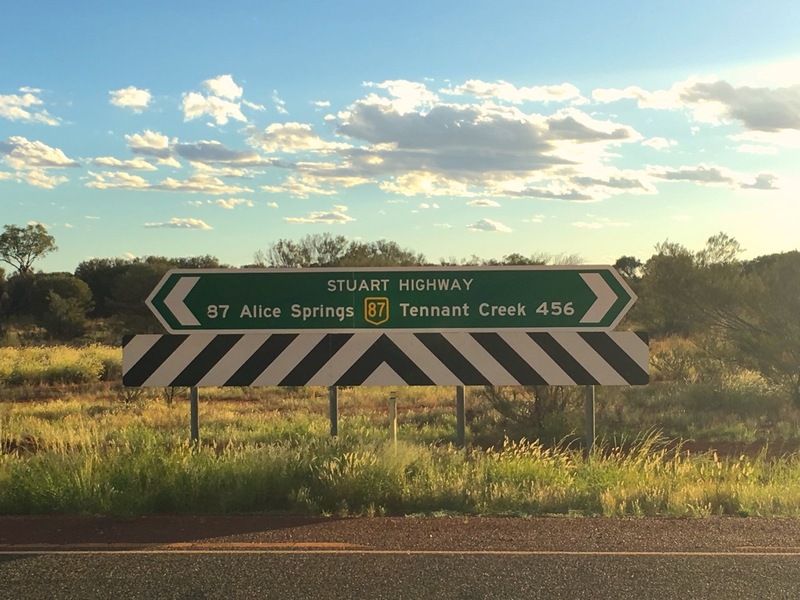 Before getting there I hit the junction with the Stuart Highway which connects Darwin to Adelaide, and the speed limit is set at an extravagant 130 km/h (80 mph), a rarity in Australia where most highways won’t let you go faster than 110 km/h. Road signage on the Stuart Highway / Heavily roo-barred Toyota Land Cruiser in Alice Springs. 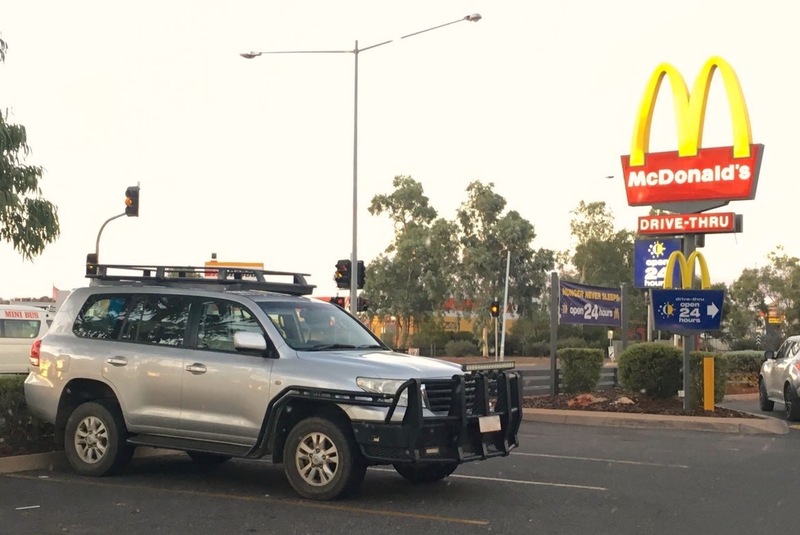 Alice Springs (population 23,726) is nothing special, but offers the welcome comforts of a plush bed and the dubious nutritional benefit of a supersized McDonalds dinner. The popular cars in town are the Toyota Hilux (surprise surprise) and Land Cruiser 70 (another surprise, or is it) with seven of the latter proudly displayed at the very front of the local Toyota dealership with the mention “available stock” in big fat letters. I also spotted a Holden Equinox, still a very rare occurrence on Australian roads after its launch in December 2017, as well as a new generation Great Wall Steed, as the Chinese carmaker has a dealership in town. 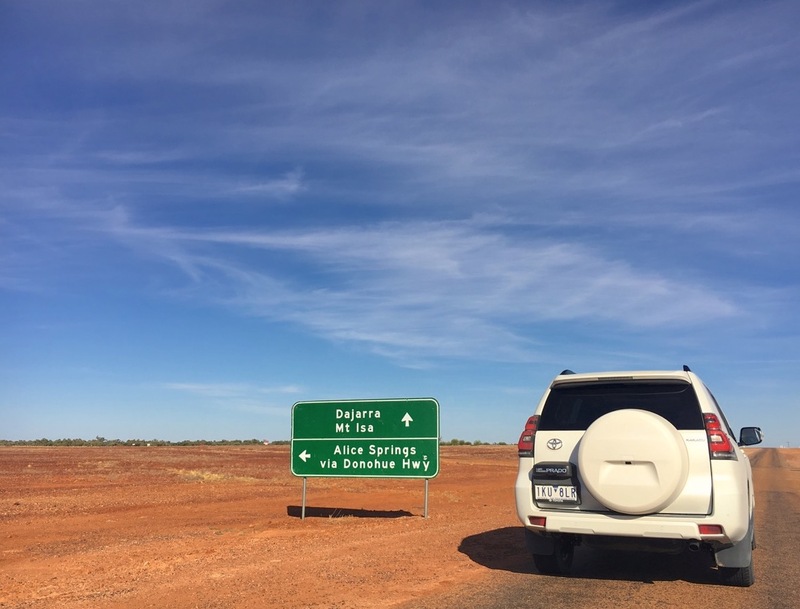 Diesel is at 149.9 cent per litre (vs. 154.9 in Boulia) which is expensive given we are on one of the main arteries in Australia. A final observation on Alice Springs is its rocky hills and desert surroundings reminding me a little of Palm Springs in California which I visited with Albert the Ram 1500 in 2014. Omar and I have arrived in Alice Springs.